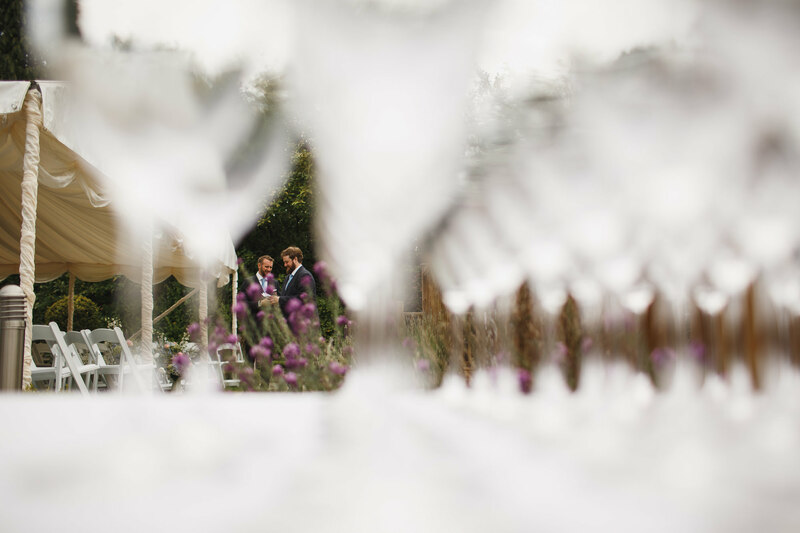 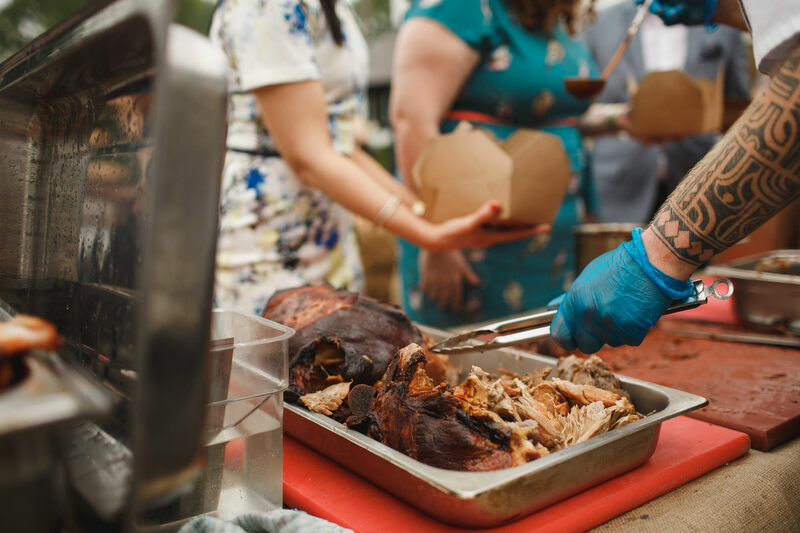 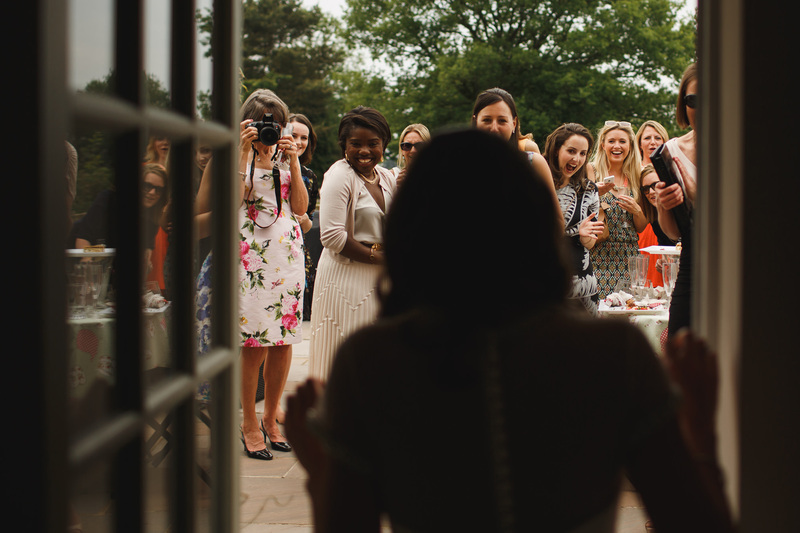 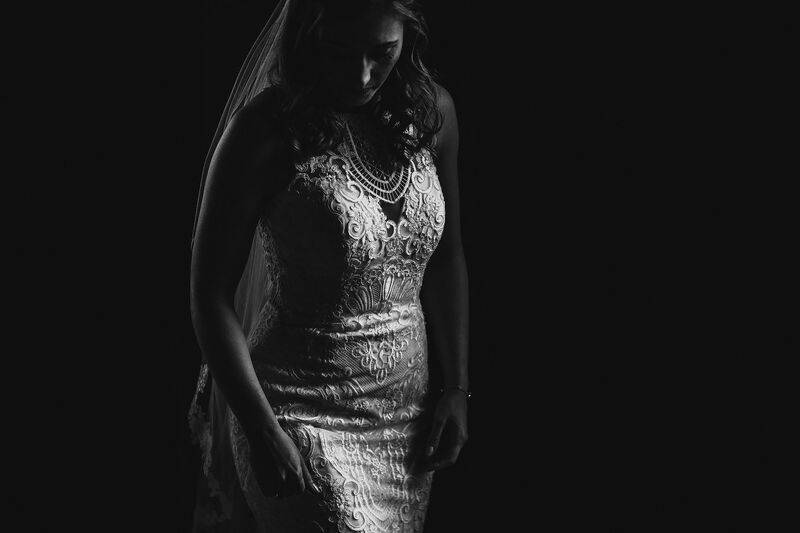 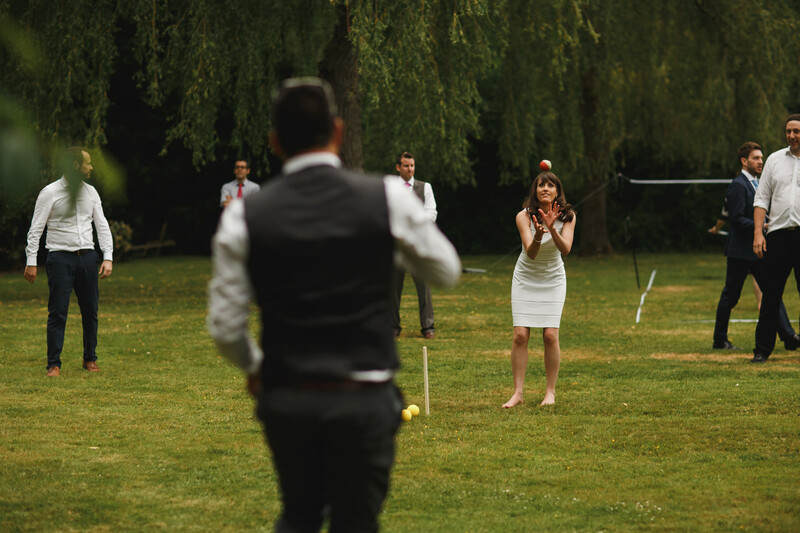 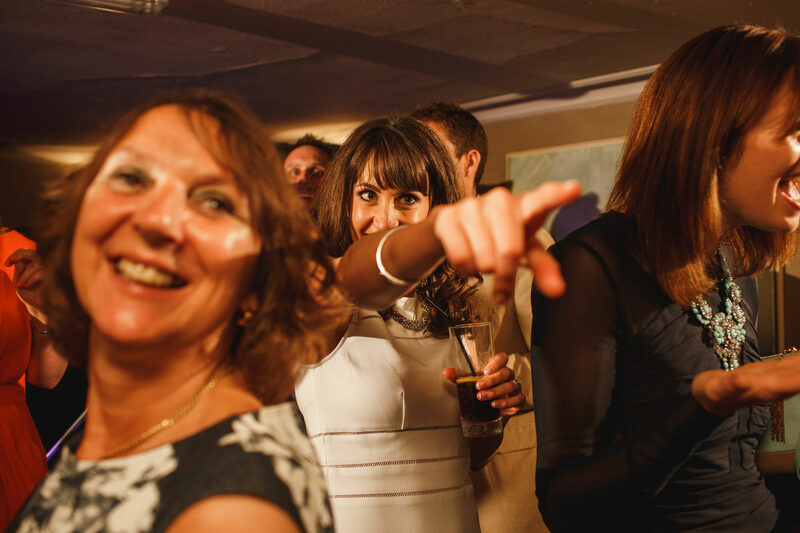 It’s almost a cliche of the modern wedding industry that you should have your wedding, your way. 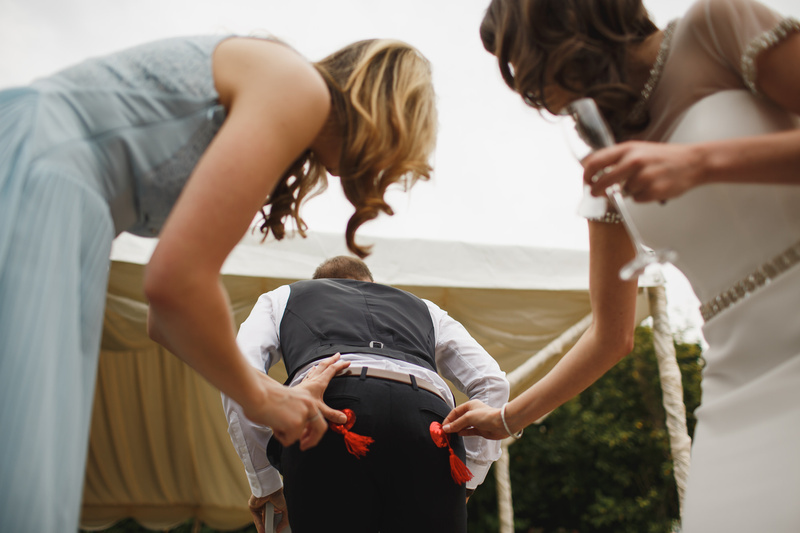 And for the most part that’s what people tend to do, while still sticking to the general rules. 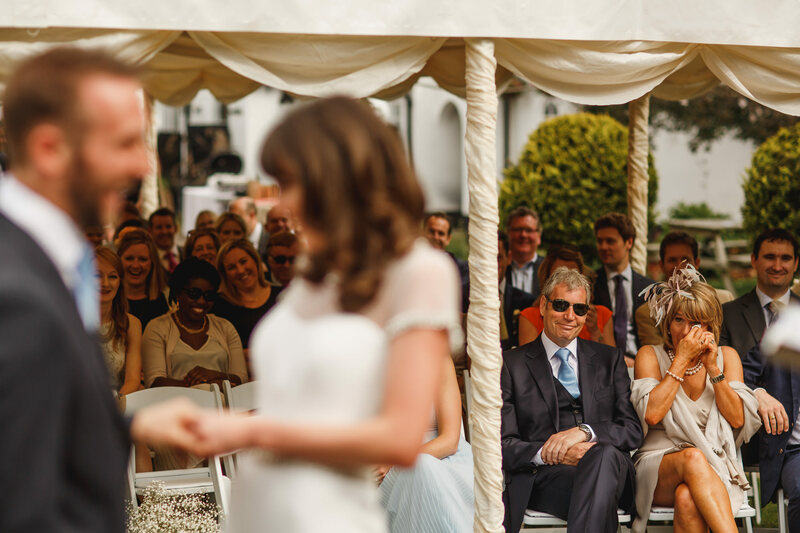 Not Gemma and Tim. 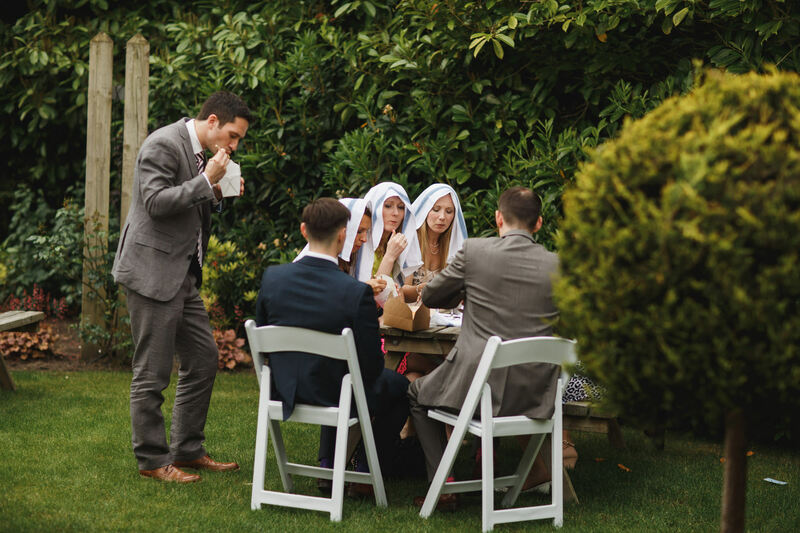 Not these crazy mavericks! 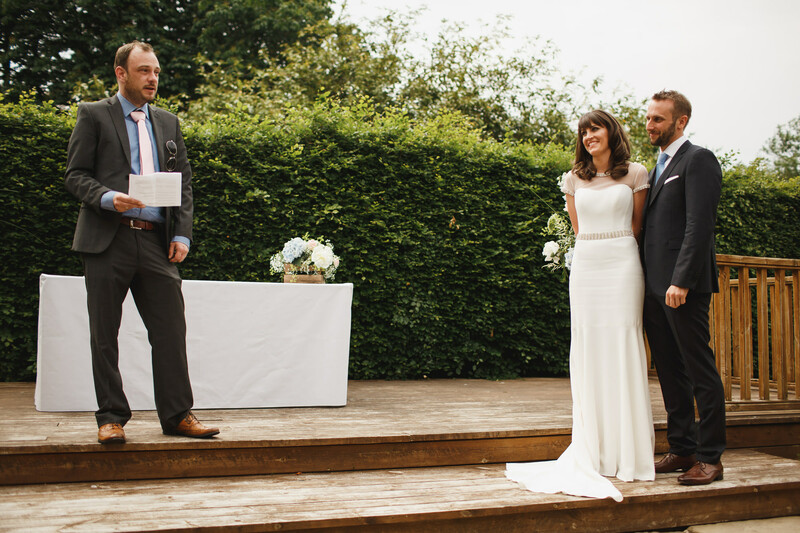 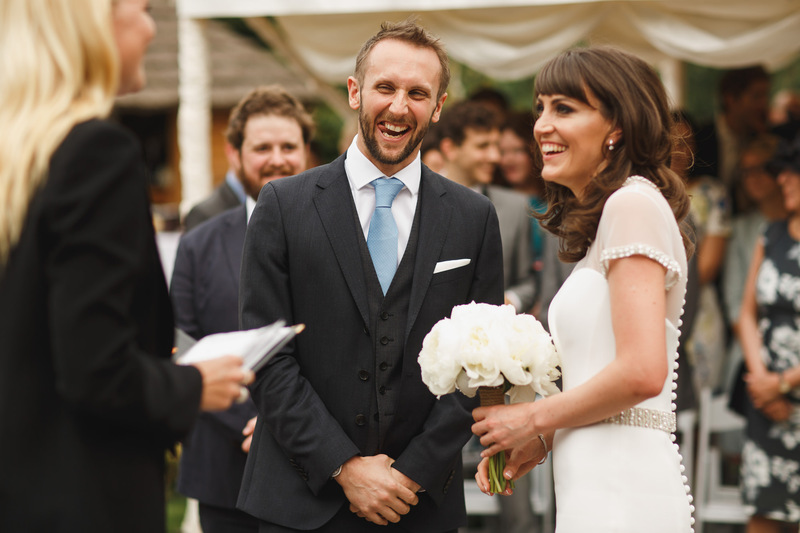 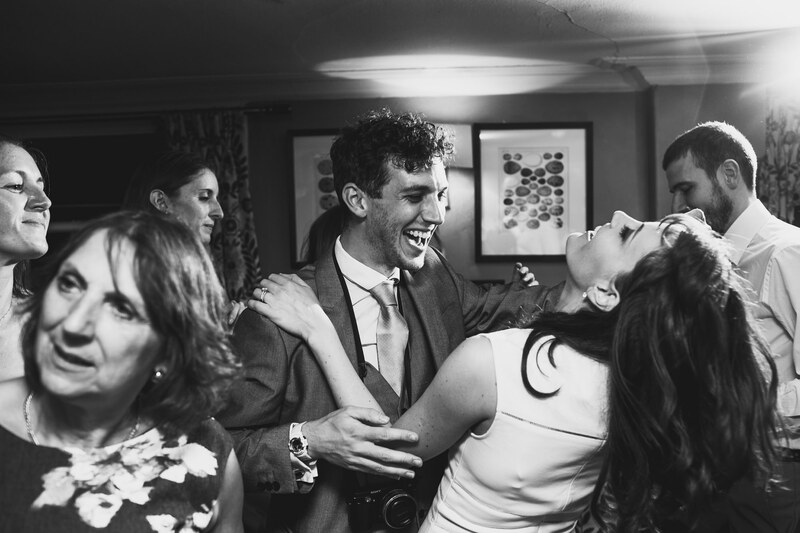 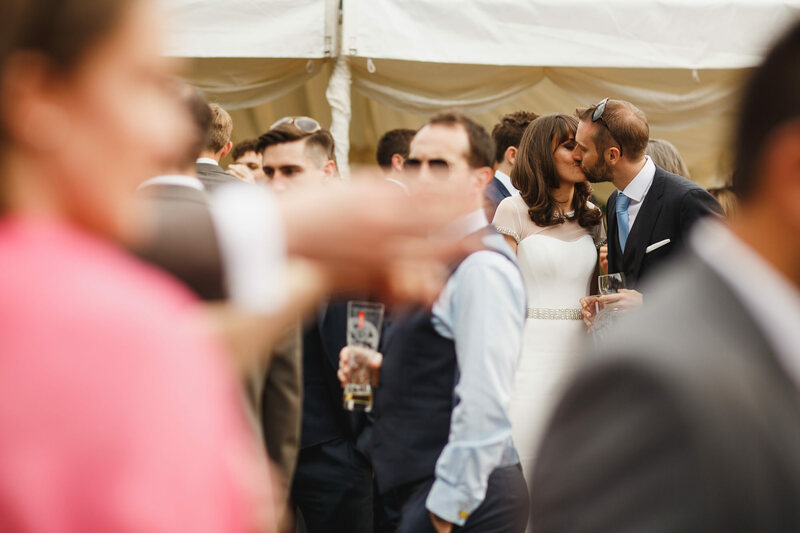 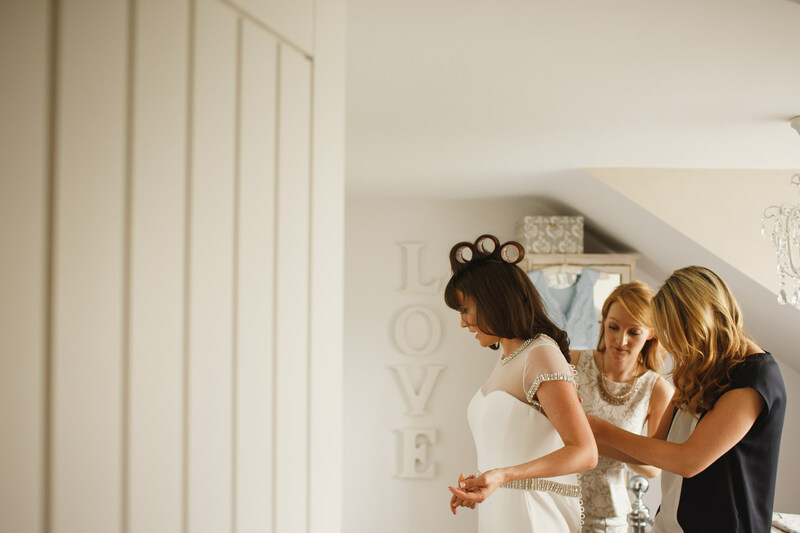 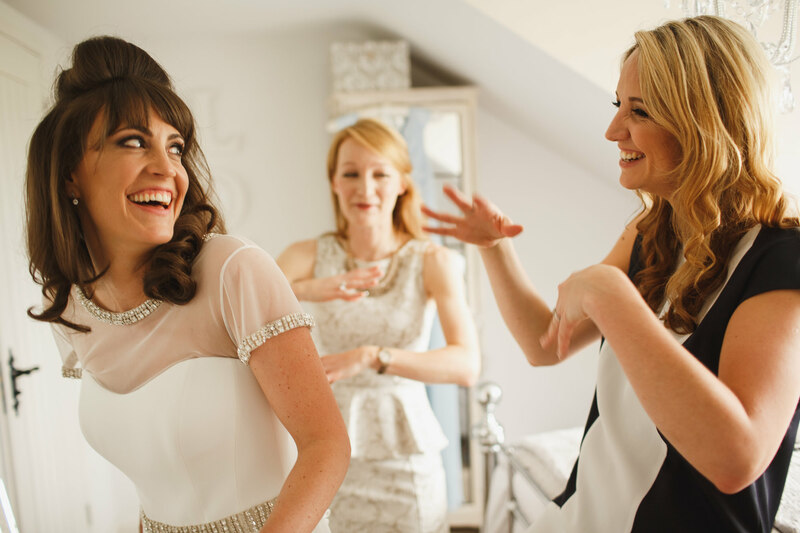 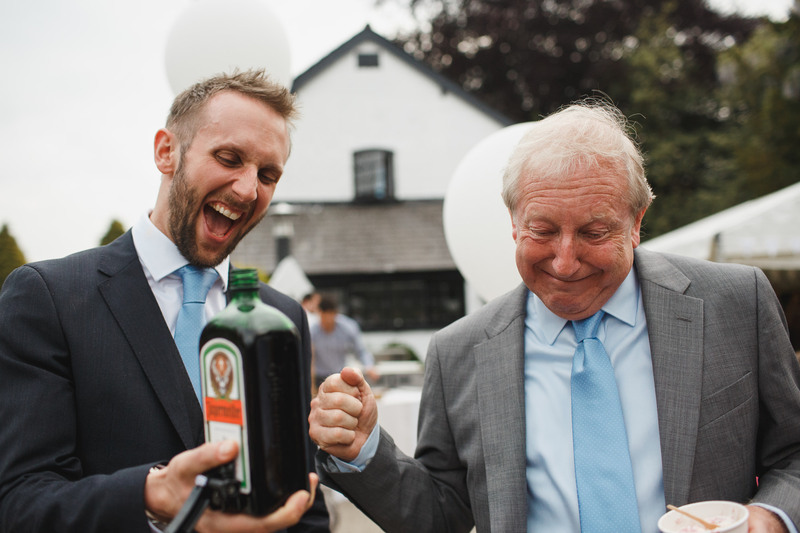 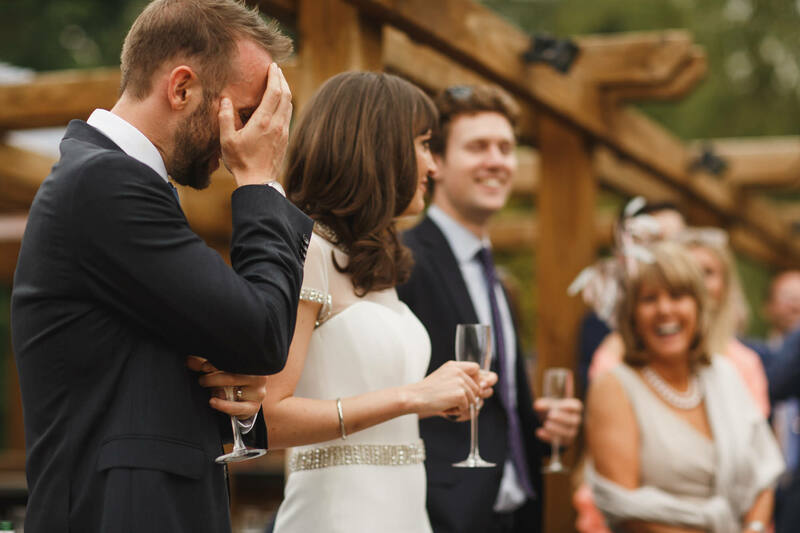 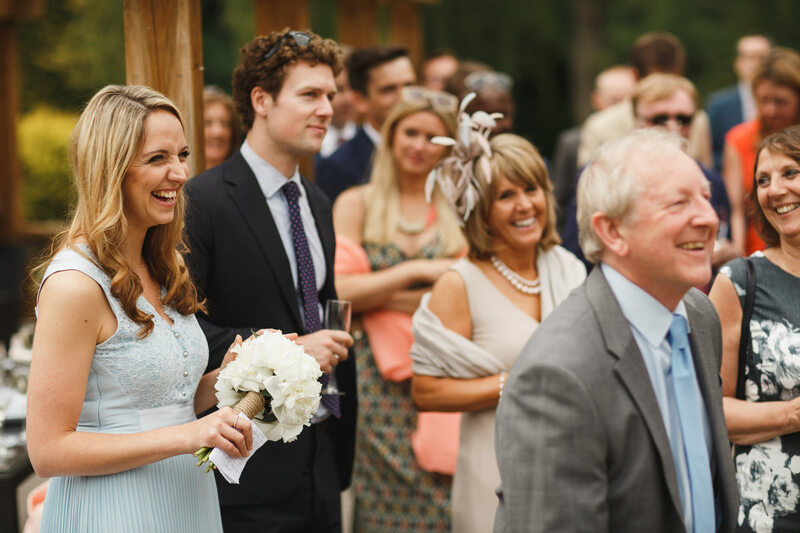 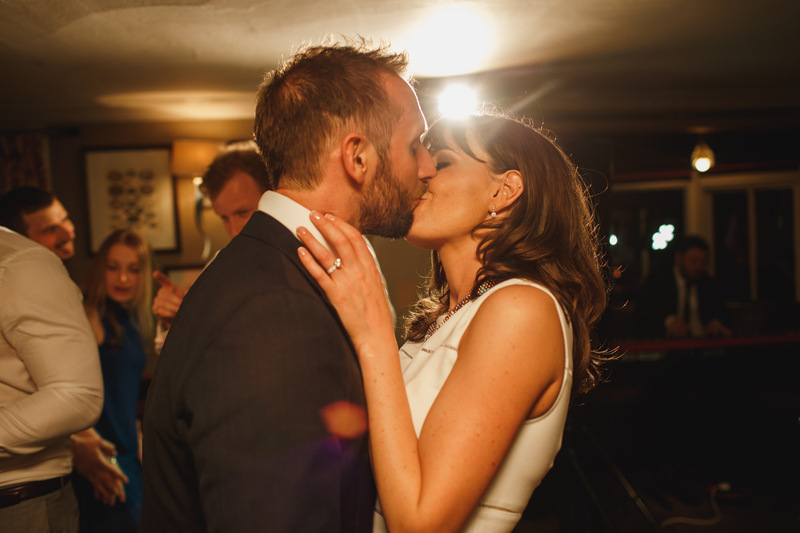 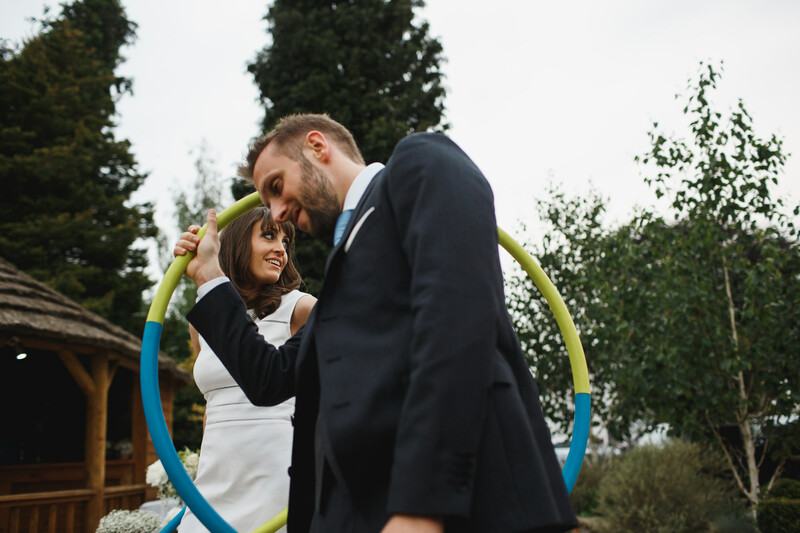 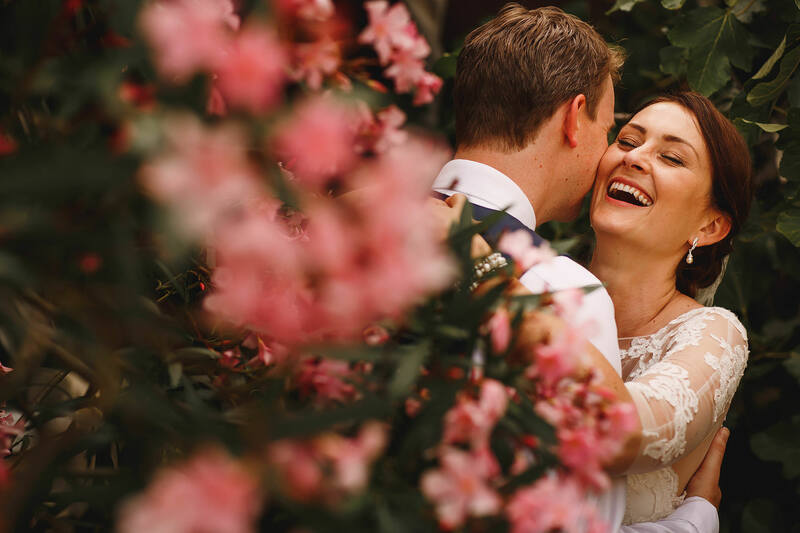 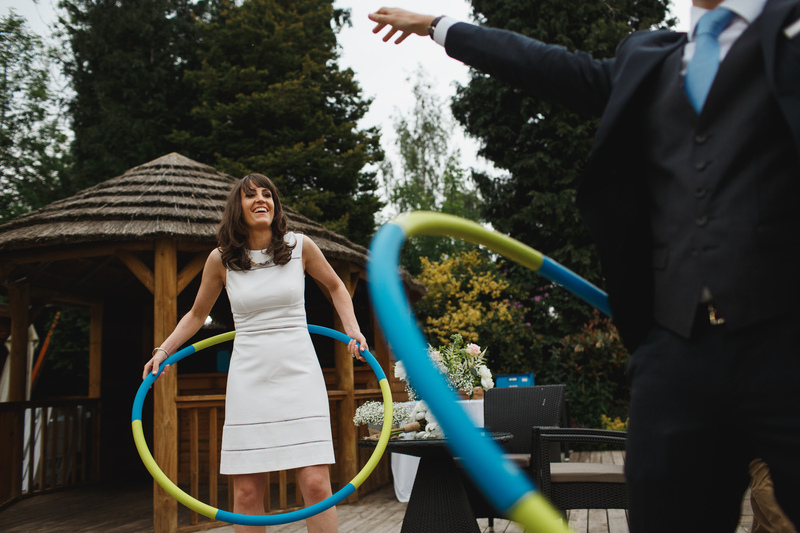 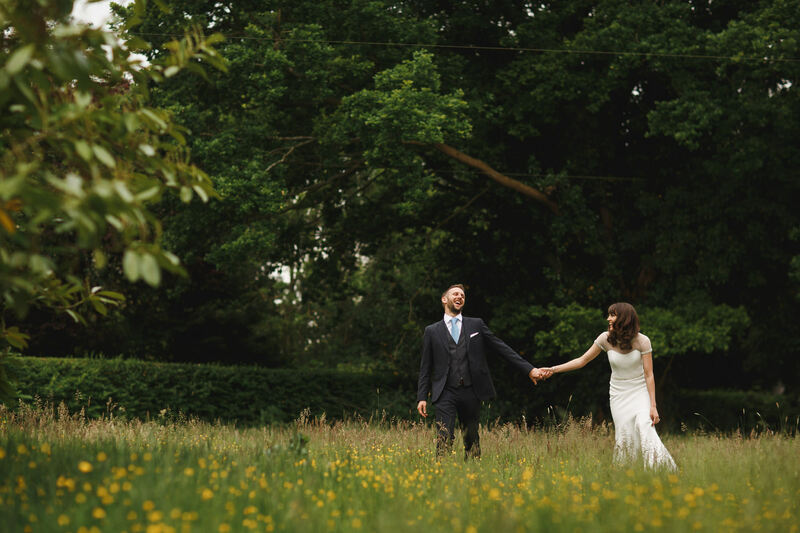 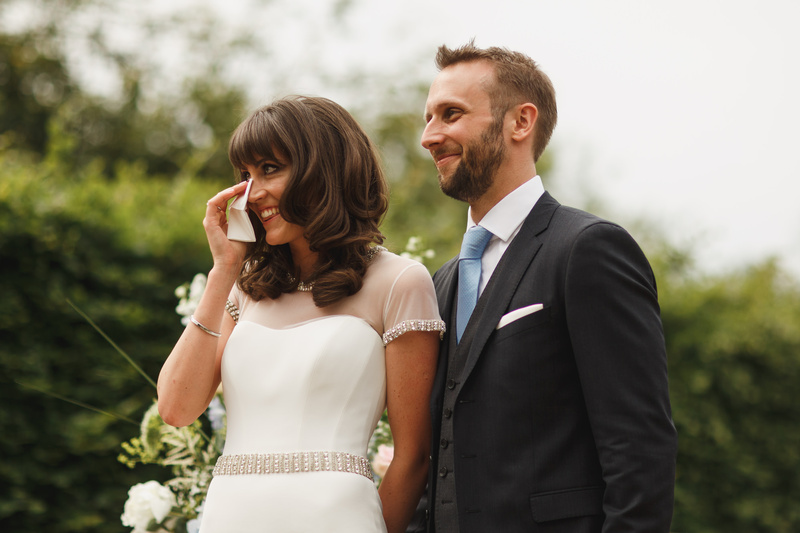 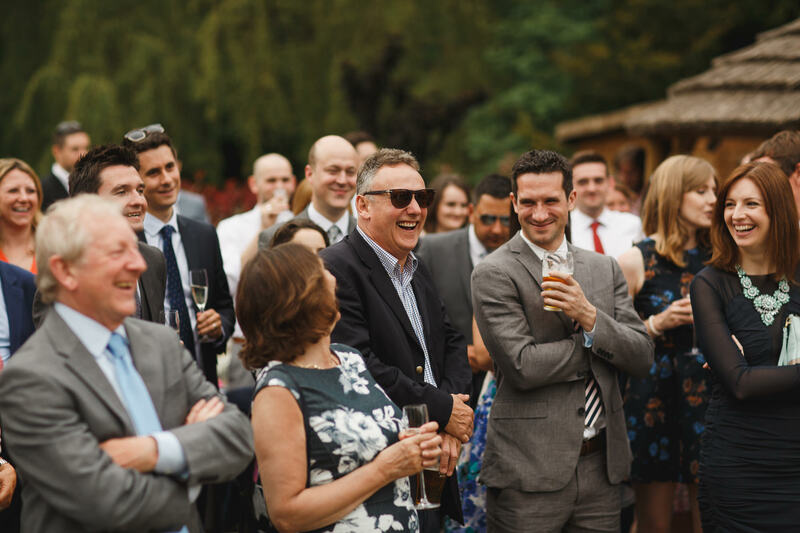 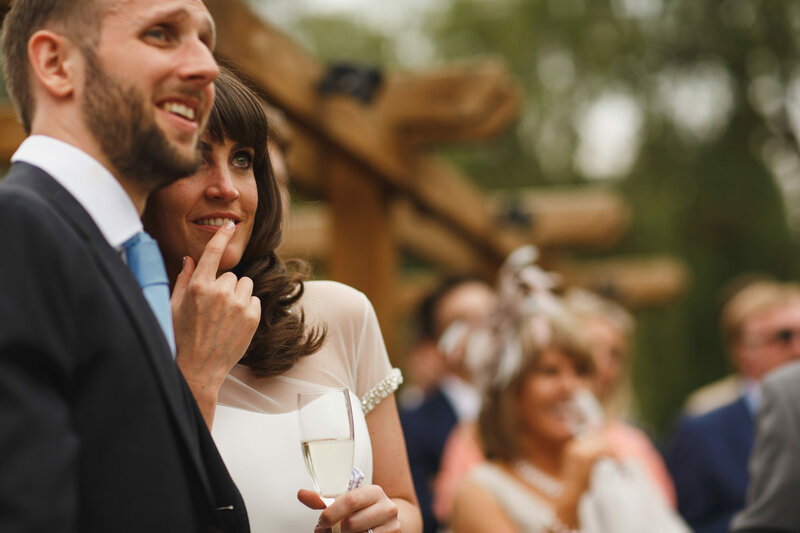 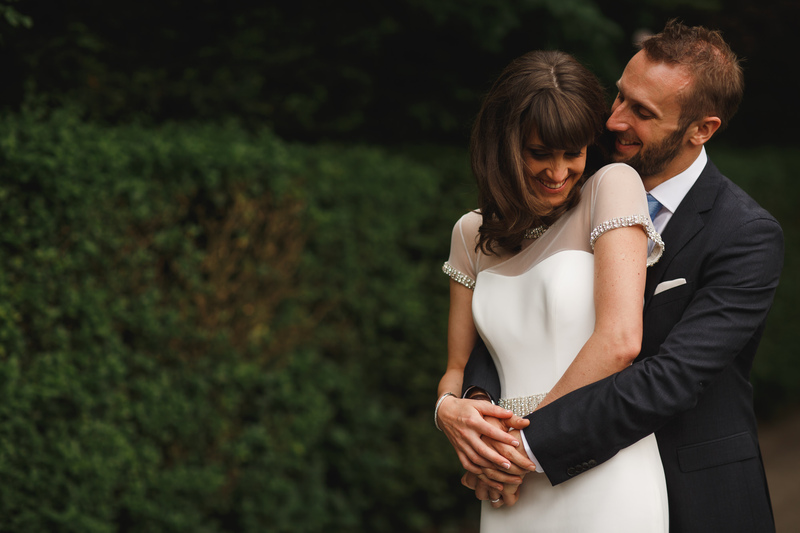 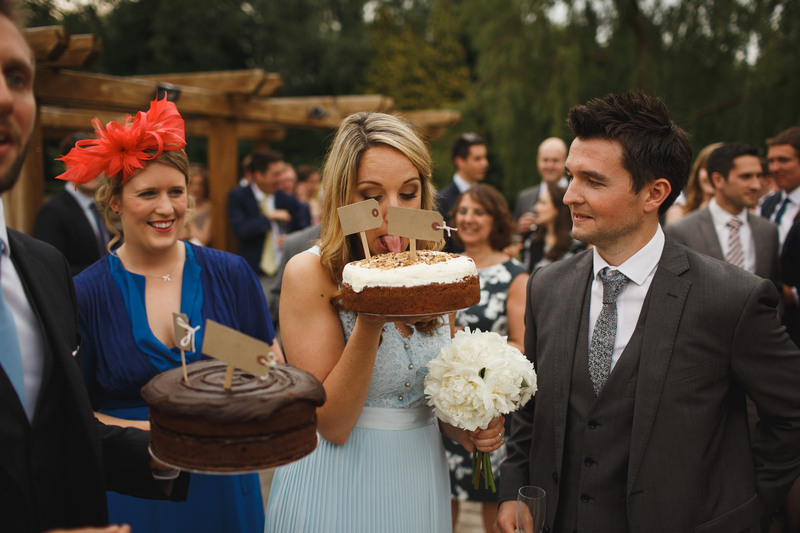 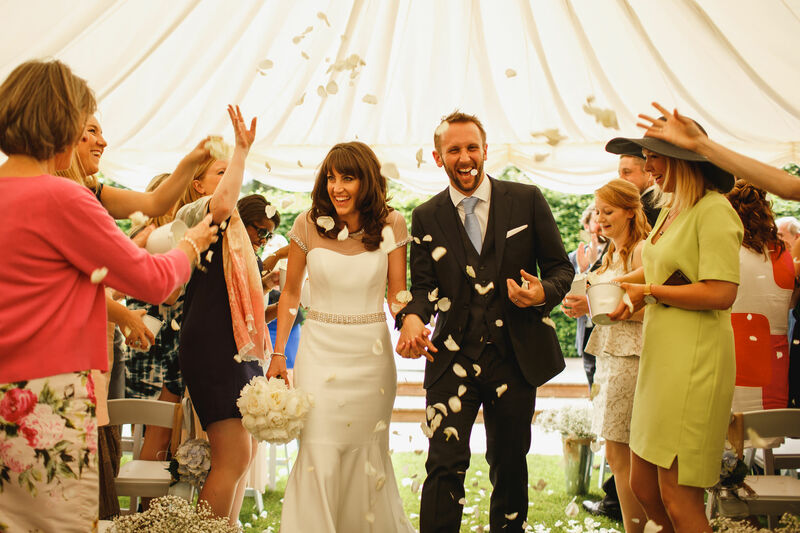 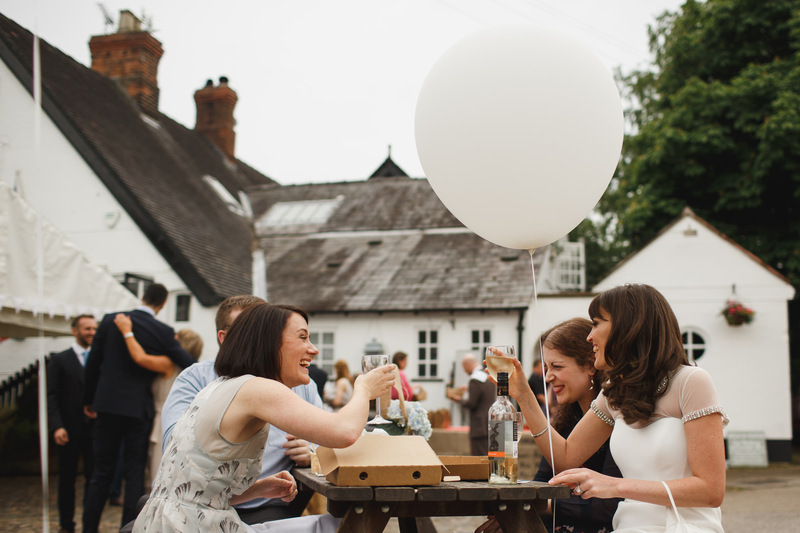 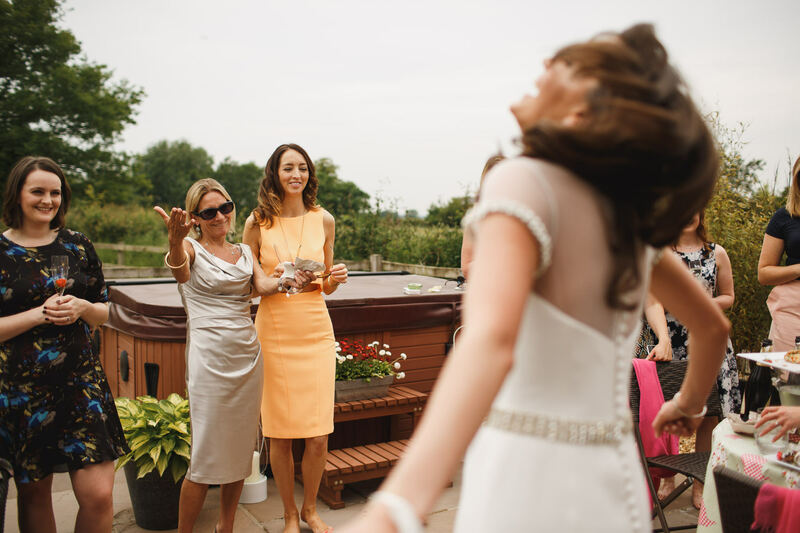 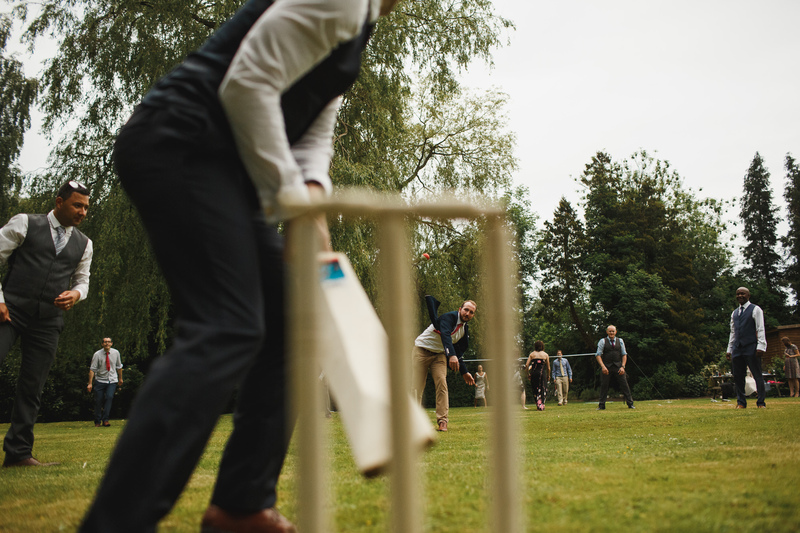 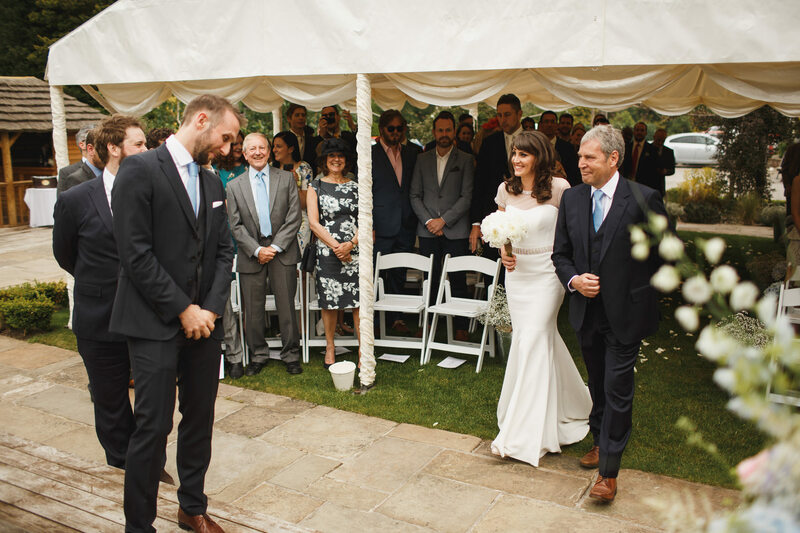 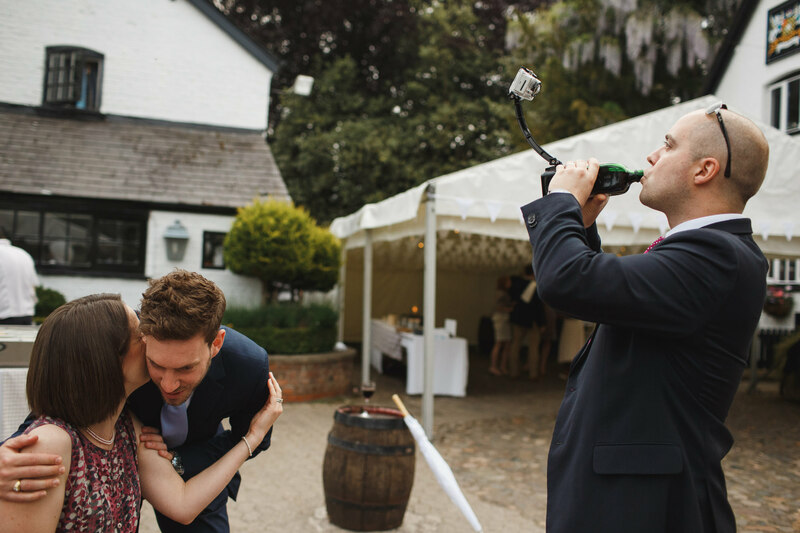 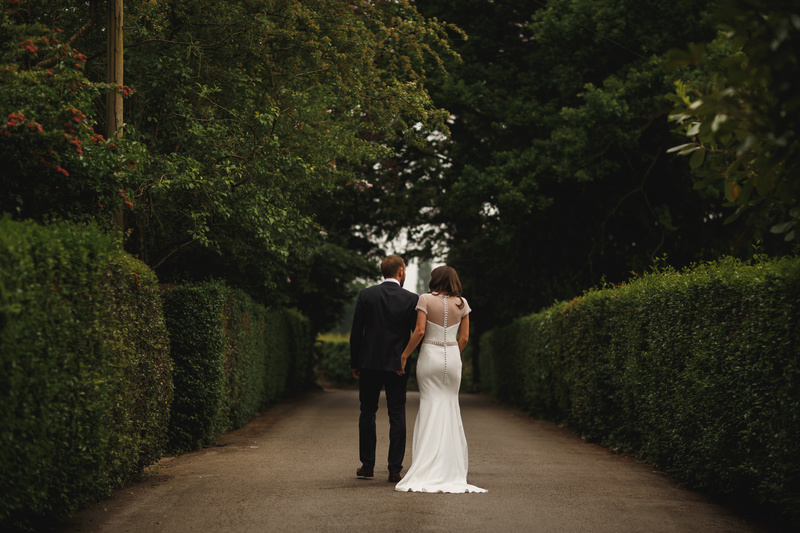 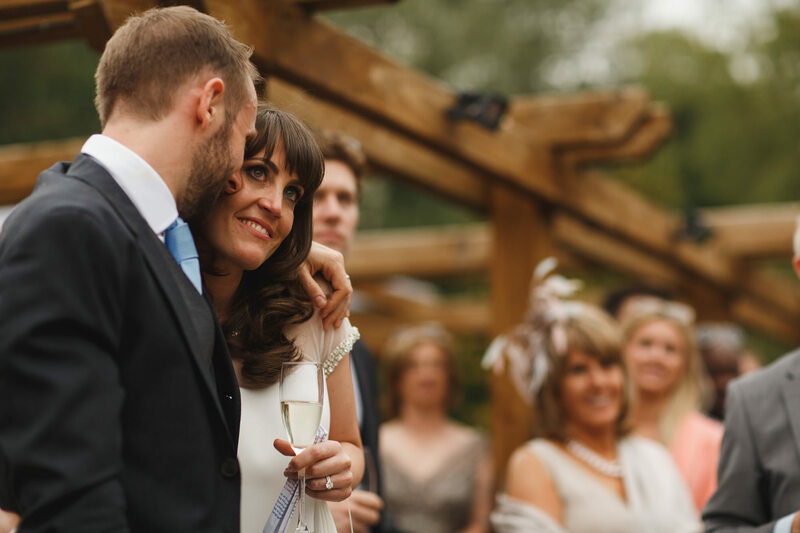 Their wedding happened in beautiful Cheshire at the Bells of Peover pub. 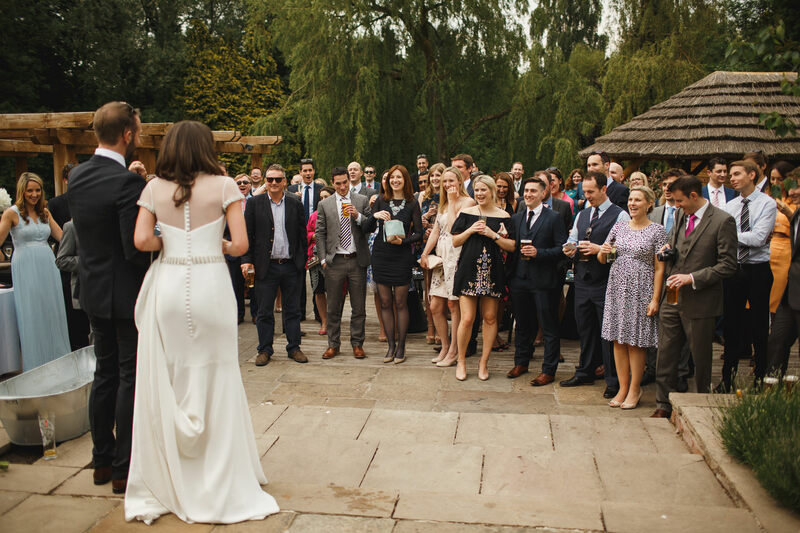 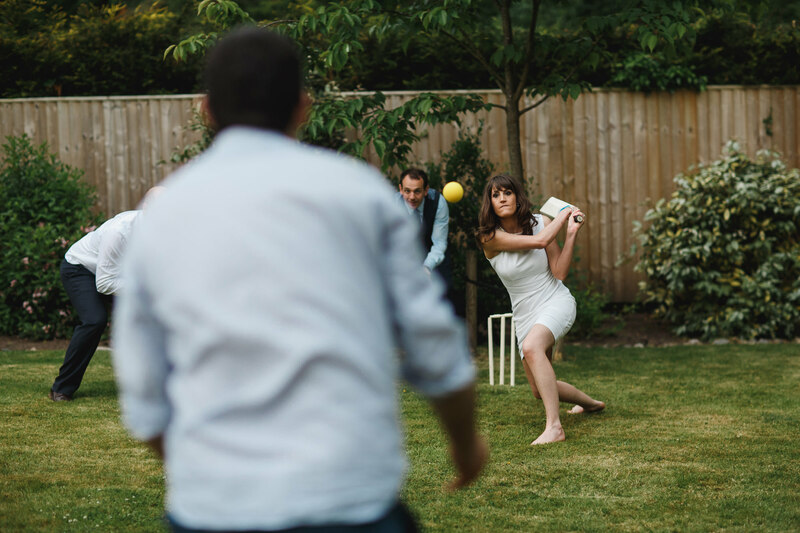 They went as non-traditional as possible – a coach instead of a wedding car (why travel alone, insisted Gemma), no staged group photos whatsoever, minimal portraits, street food on the cobbles, bathtubs full of beer bottles and bottles of wine, speeches standing up by the terrace, garden games galore and Gemma even ditched her dress later in the evening and put off their first dance for a couple of hours because everyone was just having too much fun to go inside. 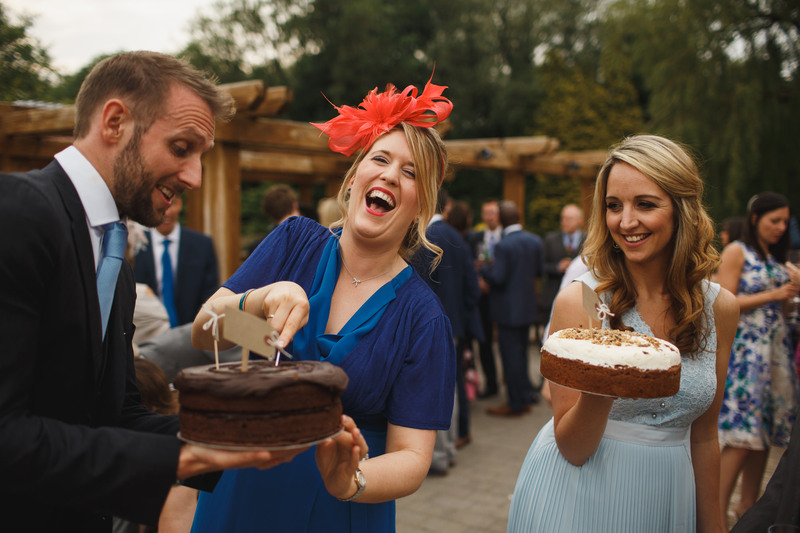 They didn’t even have a wedding cake – instead, they gave cakes to two of their friends for their birthday and anniversary! 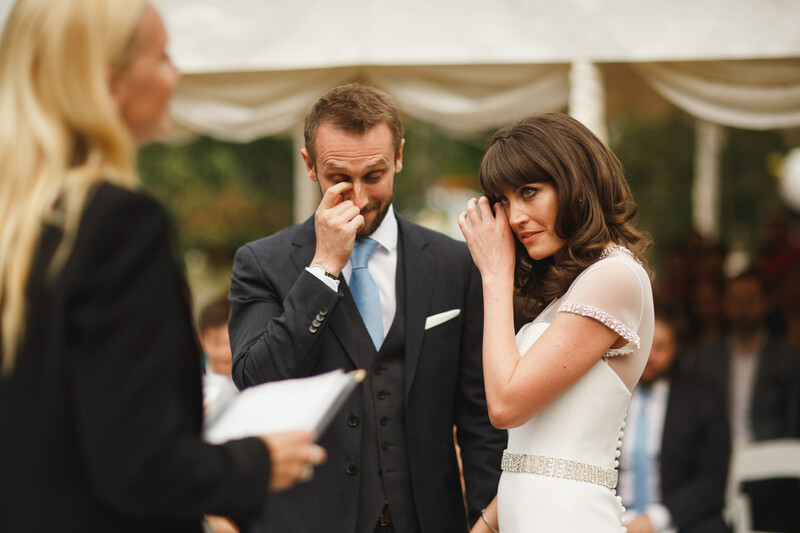 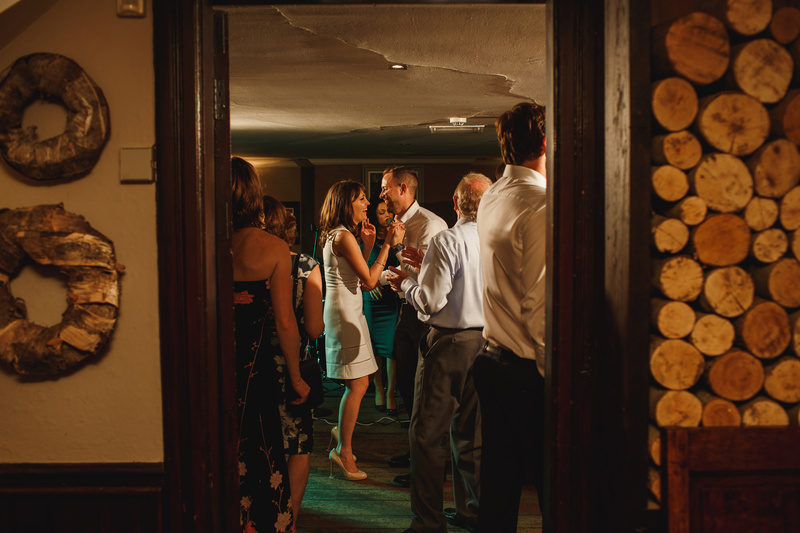 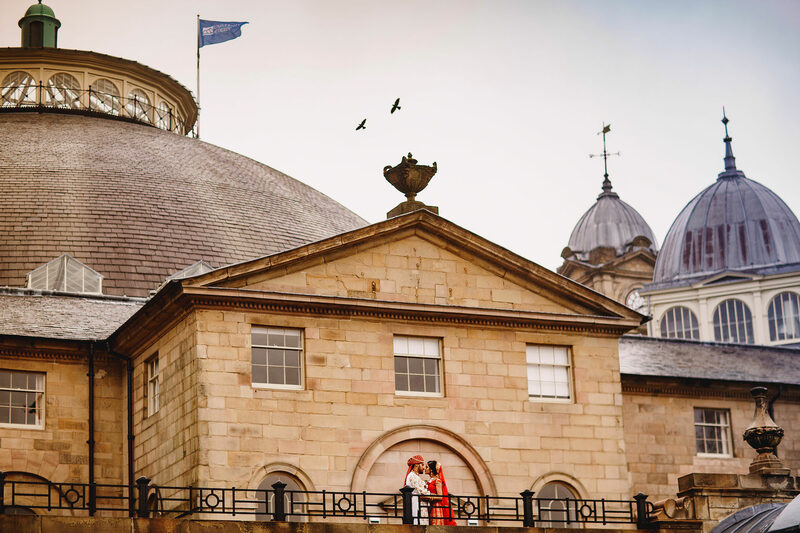 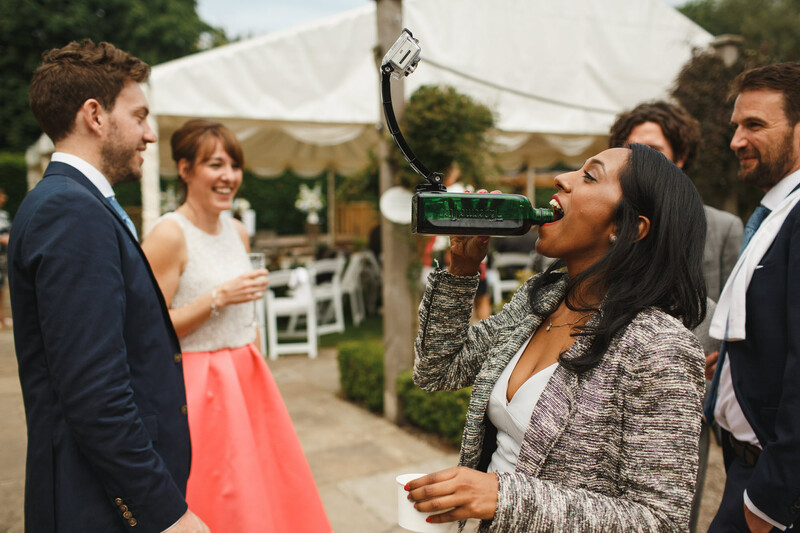 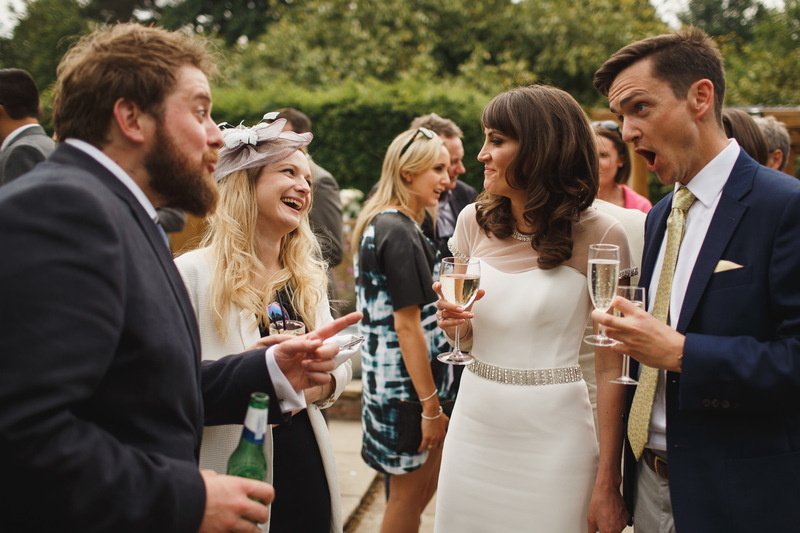 For them, their wedding was as much (if not more) about their guests as it was about them. 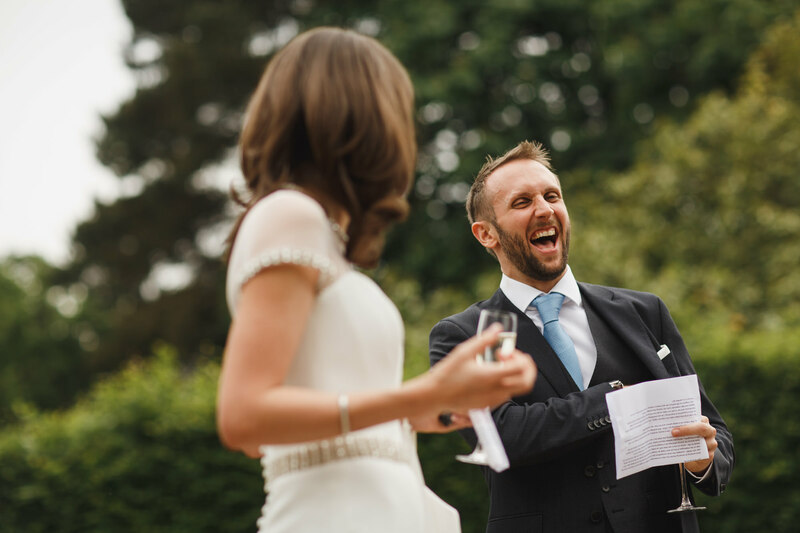 It was – and I don’t use this word lightly – as awesome as it gets. 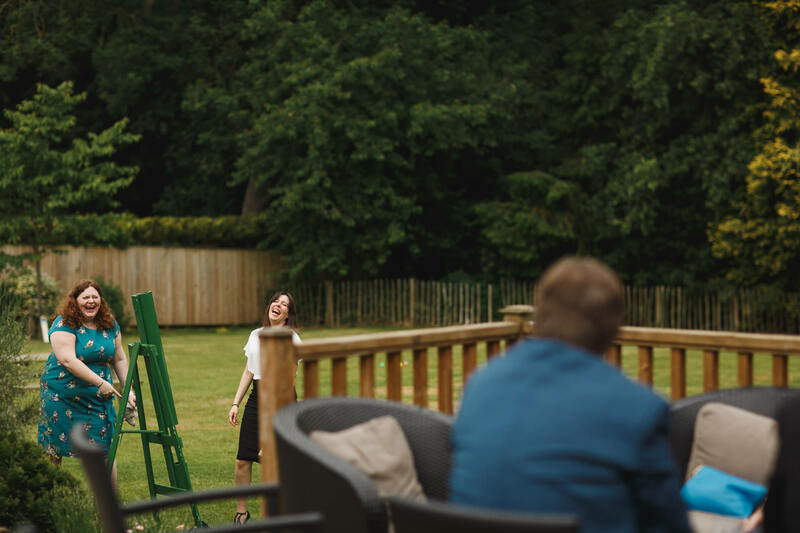 Gemma and Tim are two in a billion, and I’m so glad they chose me to be their wedding photographer at the Bells of Peover! 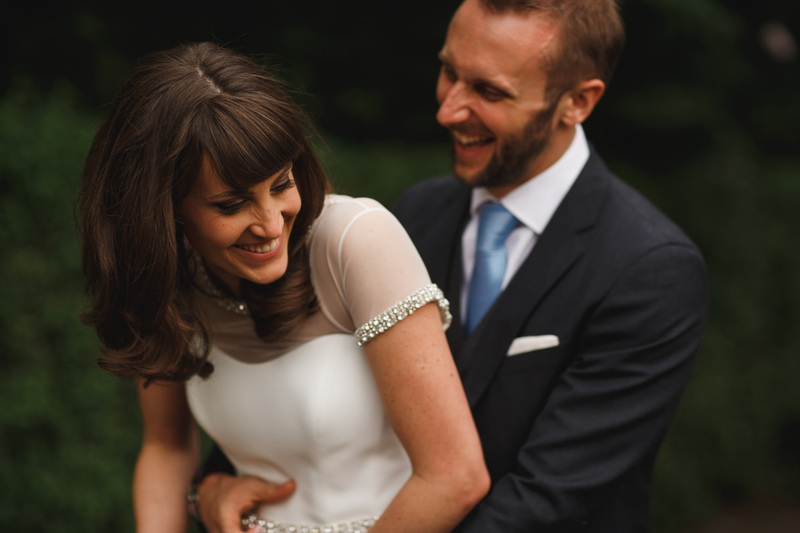 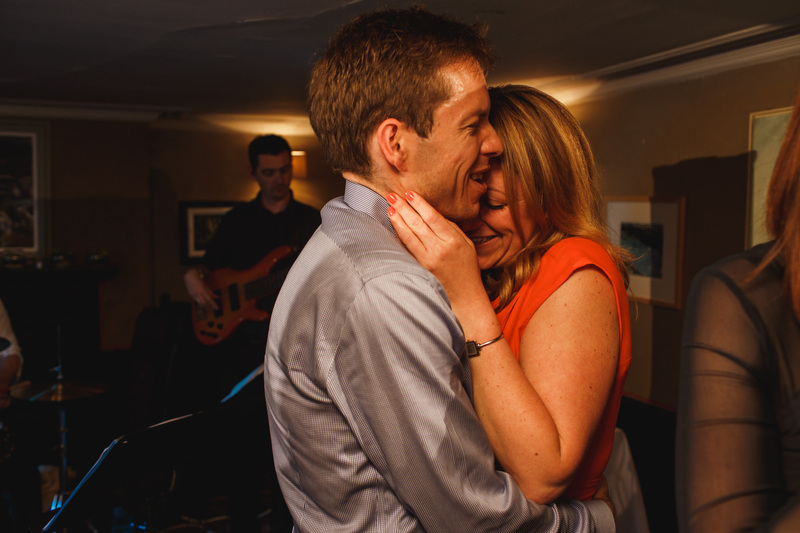 Humongous congratulations to Gemma and Tim, hugs and best wishes for lots more super-happy days like this one! 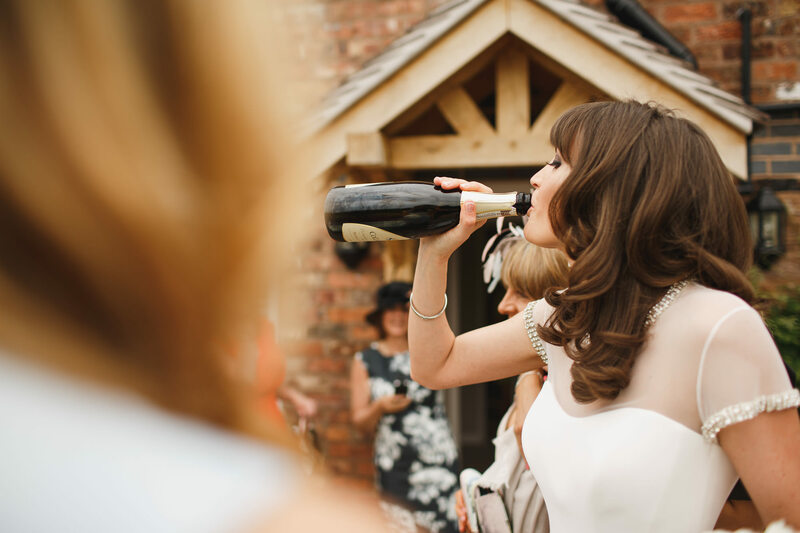 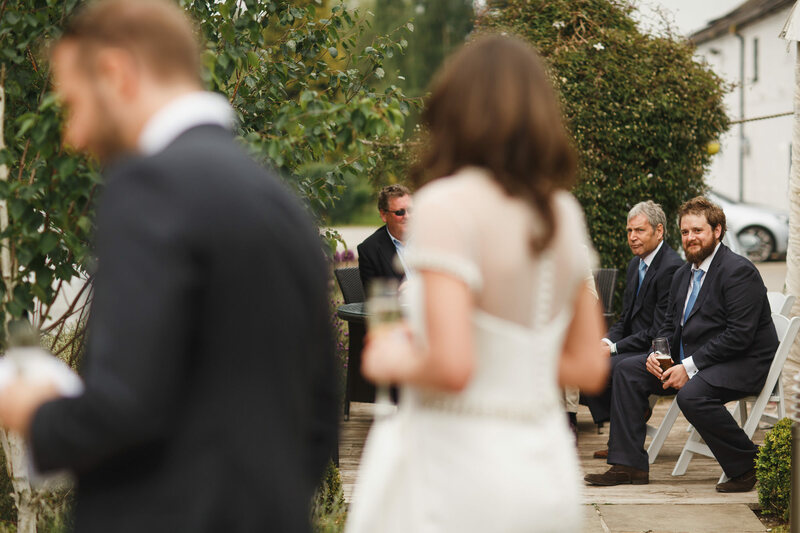 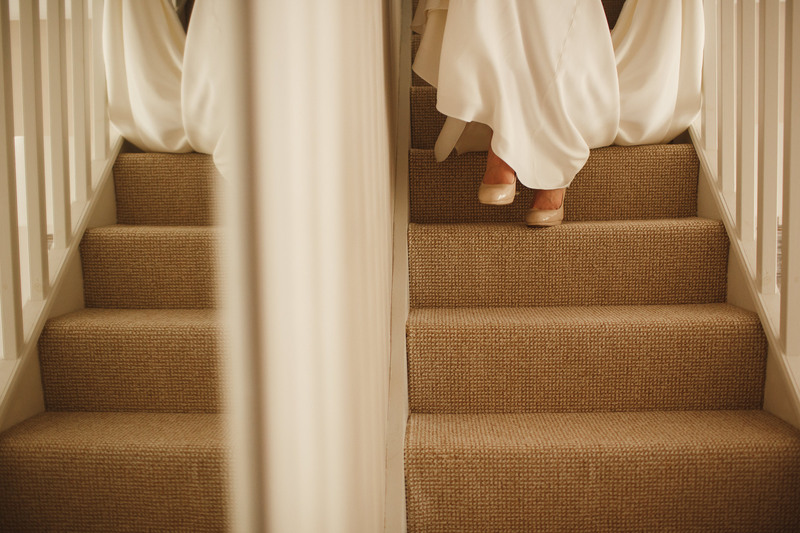 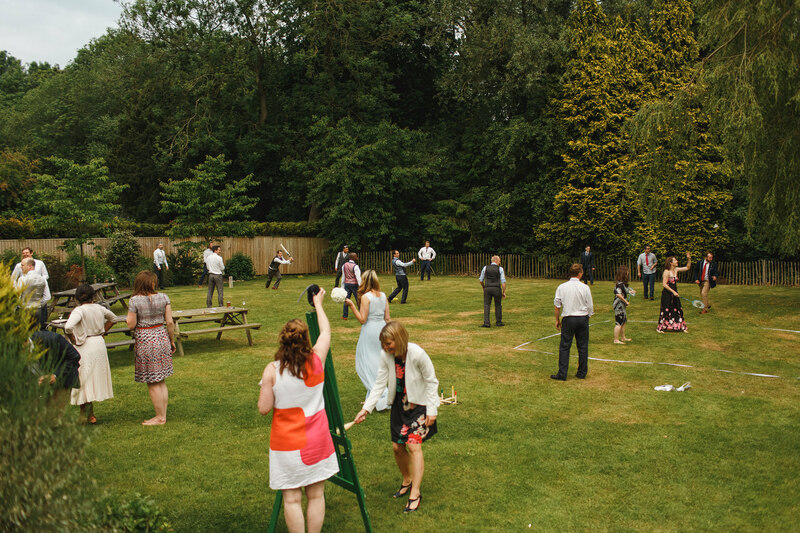 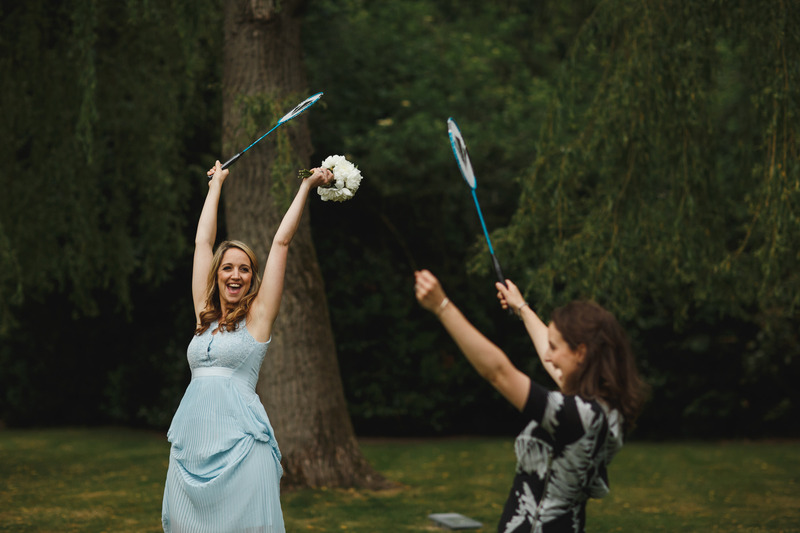 I would really really love to be part of more weddings at the Bells of Peover. 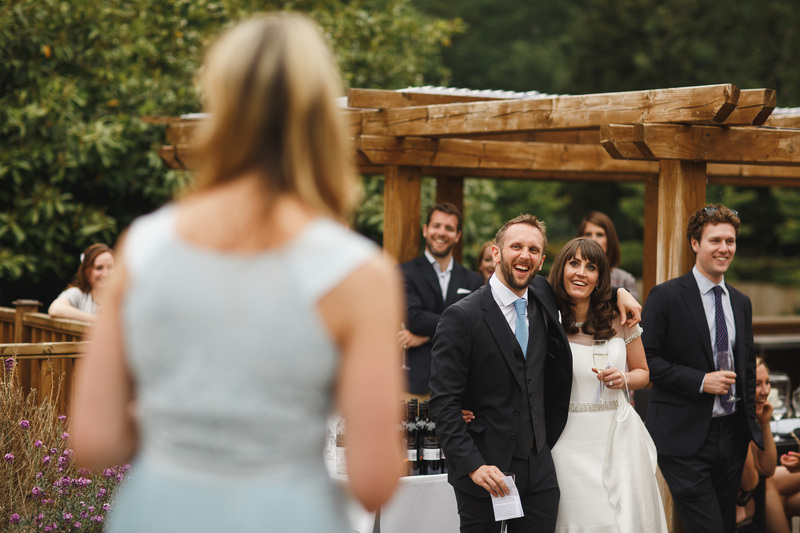 It’s such a great venue for a summer wedding, and such a unique chilled out atmosphere. 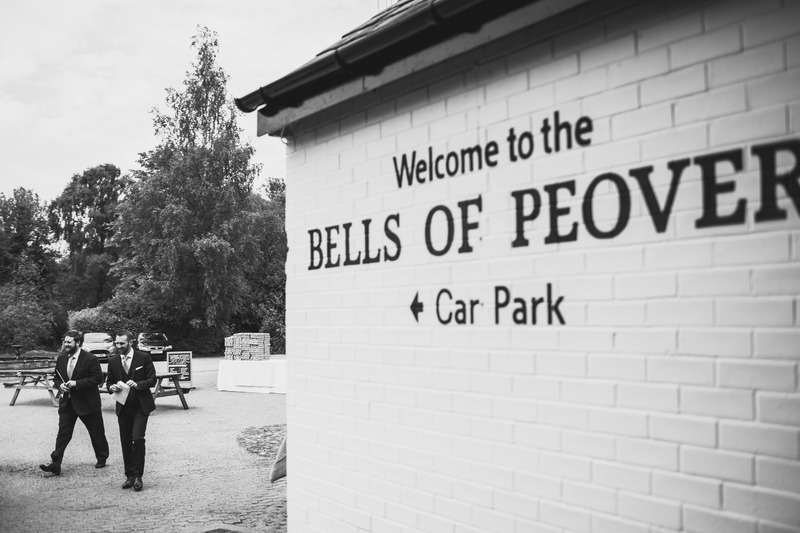 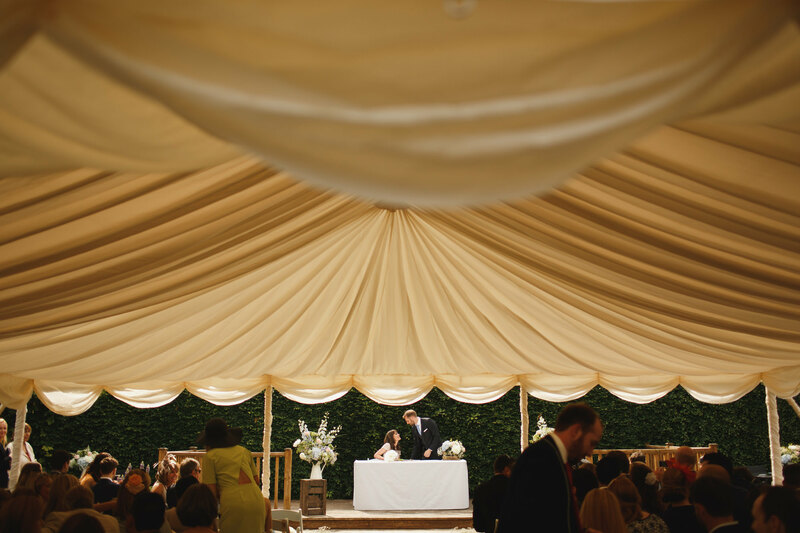 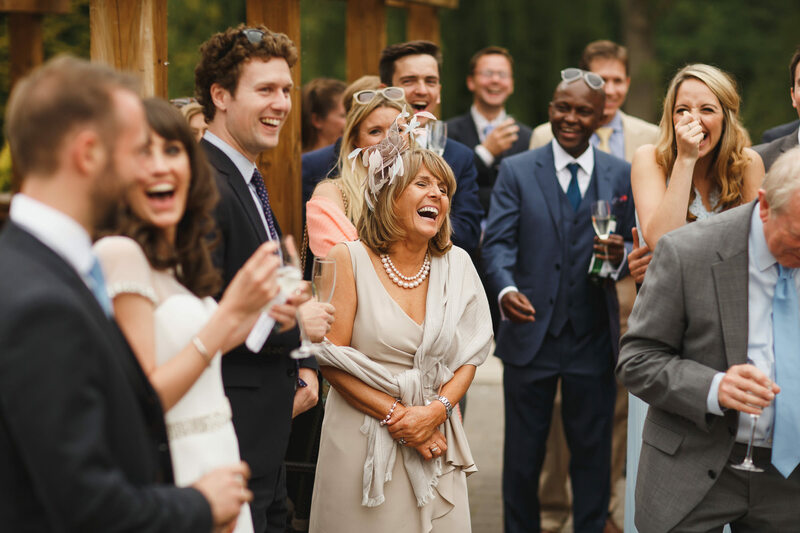 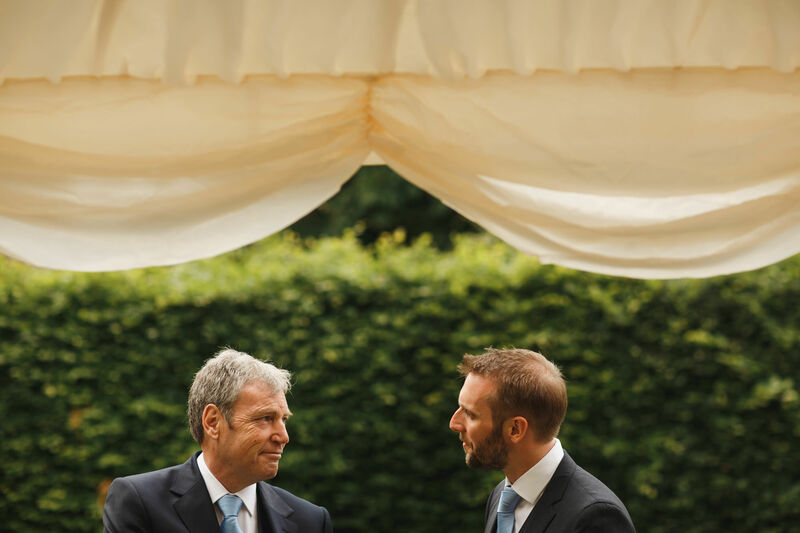 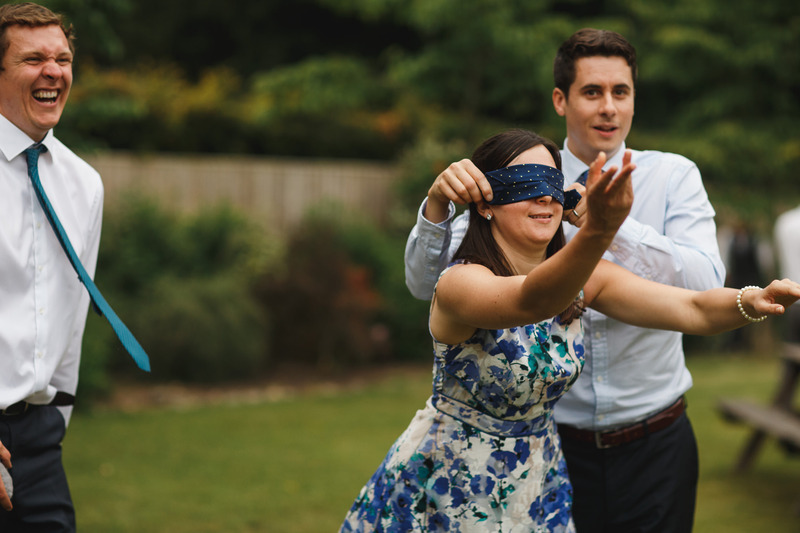 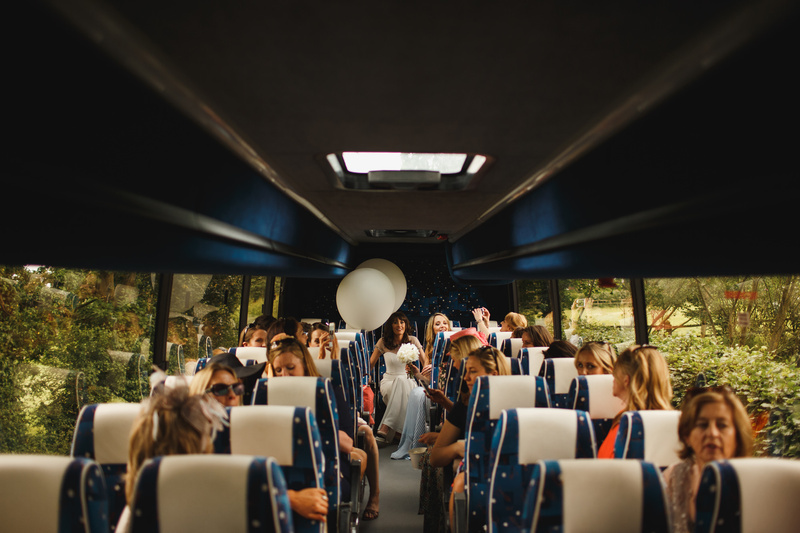 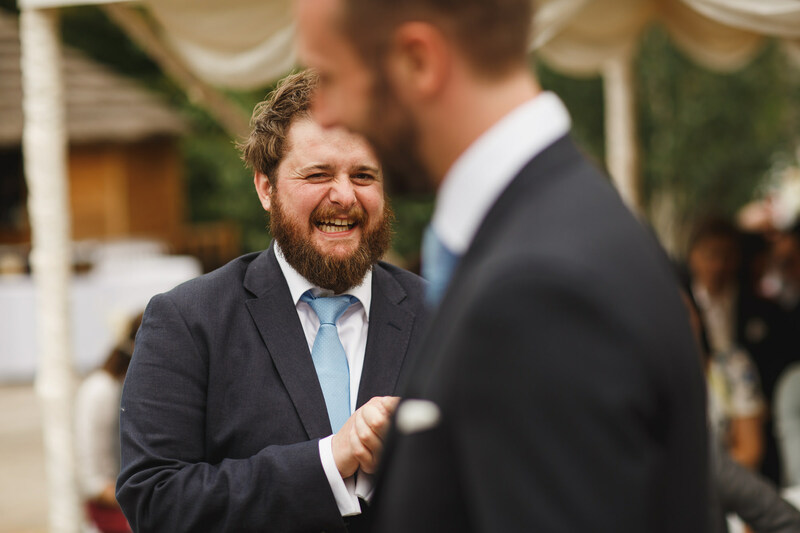 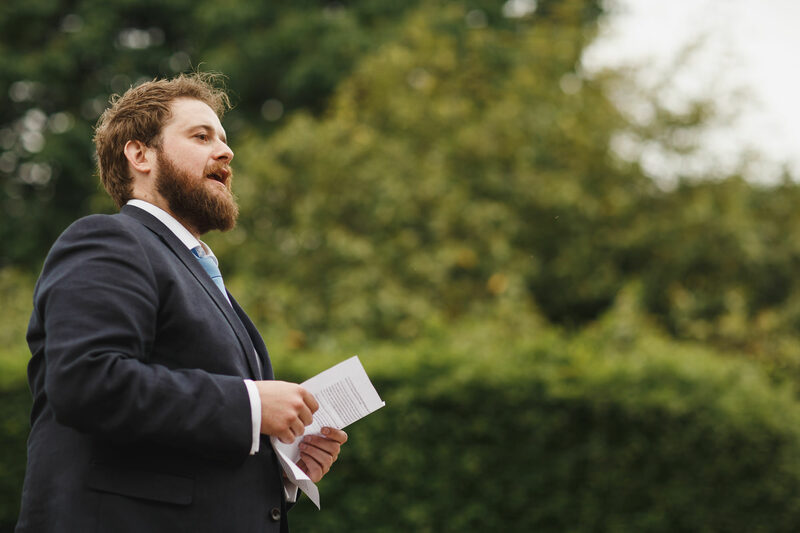 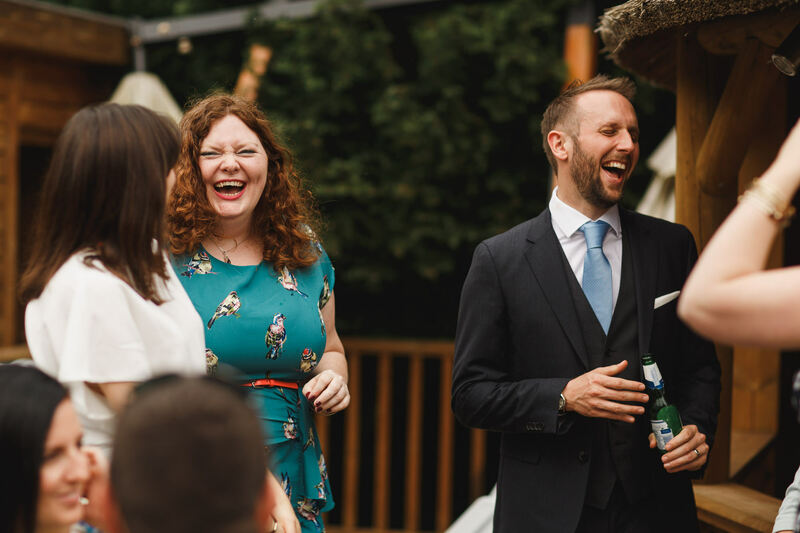 If you’re planning a wedding at the Bells of Peover, I’d love to hear from you – just to to my pricing page to get in touch!